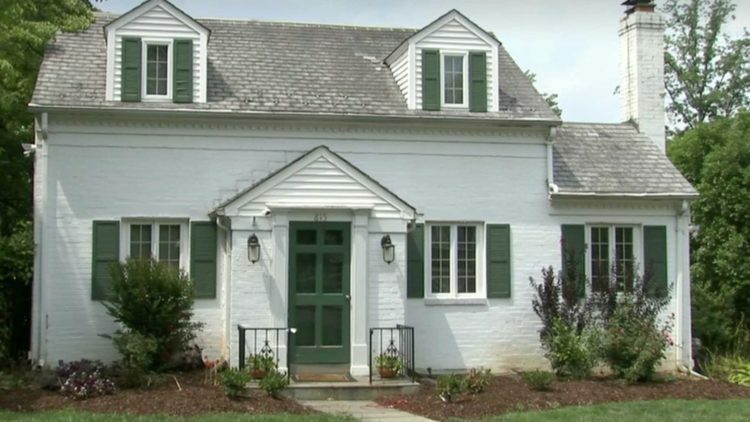 A News Company LIVE-STREAMS Sean Spicer’s Family Home — Americans Are Pissed About It And Respond! This is just a despicable thing to do. By now, everyone knows that Sean Spicer resigned as press secretary for the White House yesterday in protest to Anthony Scaramucci coming on board as communications director. As if the day wasn’t bad enough for Sean, who appears to be a good guy to me, Reuters made it worse by putting a live-feed on his home. Asshats. Who does this kind of crap? What a bunch of unethical journalist hacks… vultures. What did they think they would see? Sean going home or his family coming out? Did they think he would run home crying? Give me a freaking break. They are acting like scummy paparazzi. THIS IS WHY Americans hate the media. This right here. It’s a house for Pete’s sake… way to pretend you are journalists. So fake. It’s a pretty home… but there is nothing special about it. It’s not ostentatious or elaborate. Wonder if Reuters hid reporters in the bushes? Probably. Soooo sleazy. White House press secretary Sean Spicer tendered his resignation Friday morning after President Donald Trump hired supporter Anthony Scaramucci as White House communications chief, an appointment both White House chief of staff Reince Priebus and chief strategist Seven Bannon also objected to. The news has rocked Washington. The Trump administration is under intense pressure as the FBI, under special counsel Robert Mueller, continues to investigate Russian interference in last year’s election, in addition to allegations of Trump campaign collusion with Russian operatives. Spicer, after being a central figure in the Trump administration during its opening months, had recently appeared publicly less and less. His deputy, Sarah Huckabee Sanders, had taken over the daily press briefing duties, albeit off camera. Last month, Spicer’s name was floated as a possible permanent replacement for White House communications director, though that never panned out. This is also an invasion of Sean’s privacy and a security violation. Reuters put out the pic for the whole world to see. He has a wife and kids, but did Reuters give a damn? Nope. Now, everyone has seen it. Americans are ticked over this and they should be. This is low even for Reuters. It shows they have no journalistic ethics whatsoever. There was a whole lack of good judgement going on here. I doubt they even thought about the fallout of staking out Spicer’s home. Next, they’ll have drones zooming in on his windows. Don’t laugh. I’m pretty much a nobody and it’s happened to me. This isn’t journalism… it’s voyeurism and it’s the epitome of bad taste. It’s like stalking and is creepy as hell. Shame on Reuters.